A distorted view of private banking in Africa conjures the image of an institution that is shrouded in mystery and often ensconced in controversy. For the better informed, however, private banks have a very significant place in the history of banking and the future of Africa. This is also the case in developed nations, where their existence dates as far back as the 17th century. A 2016 report on private banks by Scorpio Partnership shows that the top 25 private banks globally accounted for more than $11trn of the assets belonging to high-net-worth (HNW) clients, representing 56.3 percent of the total private banking assets under management (AUM). UBS, the Swiss private bank, alone accounted for $1.7trn in AUM – approximately 50 percent of Africa’s total GDP. Cary Springfield, in an article for International Banker in July 2014, drew attention to the growth potential of a continent in which HNW individuals were estimated to hold combined assets of $1.3trn at the time. In the article, it was also projected that the continent’s private banking market would expand at a rate of eight percent over the next decade. Outside of common observations, there are divergent views as to what a private bank truly represents. This is unfortunately compounded by the fact that the private banking business is often misunderstood – sometimes even within the larger corporate institutions in which such banks operate. A private bank could be described as a financial institution that provides banking services, wealth management and lifestyle solutions to HNW individuals. These can be further distinguished by four categories. The first is by the client segment served, in which the focus lies largely on HNW individuals. These clients would typically have more complex financial needs than the average retail banking client. The private bank thus provides core banking services, such as loans, credit cards, current accounts and savings accounts, as well as wealth management solutions. A well-established private bank would also cater to the lifestyle needs of its clients, with many offering some form of concierge service. Then there is differentiated strategy, which sees the profile and needs of the classic private banking client as distinctively unique. A typical private banking client requires more personalised banking, and is more rate-sensitive and exposed to other banking cultures than the average retail banking client, with some clients having existing relationships with offshore private banks with whom they continually benchmark the services they receive locally. Banks have learnt quickly enough that a separate but distinct strategy must be applied to this niche of clients. Competencies are the third category. A private banker’s competence is demonstrated by their depth of knowledge of financial markets and products, as well as the quality of advice availed to clients at different life stages. This also sets private banks apart from other financial institutions. For example, a 55-year-old HNW client, who plans to retire at 60, is expected to be naturally concerned about the adequacy of his or her retirement savings, and would look to their private banker for proper guidance. This implies that the private banker is well acquainted with financial planning principles. It is important to note, though, that outside the rigours and disciplines of saving money, it is the quality of the investment advice given to the client, ultimately reflected in the prescribed asset allocation and choice of products, that truly conveys the value of having a private banker. Indeed, a private bank should be able to apply the right tools to determine a client’s investment risk profile and also to come up with a plan for allocating investible funds into matching asset classes. Finally, there is the demographics category. In the past two decades, there has been rapid growth in the number of upwardly mobile multijurisdictional families, driven either by children schooling abroad or parents choosing to invest in offshore properties or liquid assets. With offshore markets being governed by separate rules for residency and taxes, the latter could be quite punitive if not properly planned. Given such differences, a private bank should be able to provide guidance to its clients or at least help them find the right professional advice to ensure that they are adequately protected at all times. Having made the attempt to distinguish private banks from other structures or closely related institutions, it is important that we also understand the nature of the challenges encountered by these institutions. First of all, every individual has a right to privacy, but this should not be misconstrued as a right to secrecy. Rather, a private bank should build a reputation for ensuring the privacy of its clients’ affairs while also adhering to the full requirements of the law. More often than not, the greatest risk to the existence of a private bank lies in reputational breaches, hence the importance of having proper risk controls. Another major challenge lies in determining the place of the private bank within the retail bank. There are different options, which may include running the business as a standalone enterprise or embedding it within a larger retail structure. While there is no right or wrong way, it is important that the private bank has full responsibility for its clients, and that its leadership also has both the latitude and flexibility to take business decisions when required. Beyond these structural considerations, the products themselves are a further challenge, as private bankers in local institutions often complain about limited product choices. You also often find, within such institutions, there are no clearly defined routes for product innovation or deployment, with many running on an ad-hoc basis instead. However, a private bank cannot be successful without having the right suite of wealth management, asset management or advisory resources. Regulatory pressure is another challenge facing private banks today. With the threats of money laundering and terrorist financing becoming more pervasive in many jurisdictions, regulators have in turn placed a greater responsibility on the senior management of private banks to be fully compliant without exception to all client onboarding and transaction monitoring rules. While the measures are aimed to ensure that business is carried out in a responsible and compliant manner, the unintended consequence is a lengthened onboarding process, particularly where an offshore relationship is necessary for a client. Notwithstanding, all private banks should adhere strictly to the applicable regulations within their jurisdictions and strengthen their risk control frameworks. Private banks often struggle to gain streamlined information on their clients and their preferences in order to support decision-making. For example, static data on age and gender, appropriately grouped, could help determine the life stage and types of wealth management products to be developed for such clients. Similarly, information on their personal interests in a structured manner would support the creation and distribution of lifestyle products. Often, you have clients looking for direction but feeling unfulfilled when product delivery is poor. In this respect, private bankers are expected to be several notches higher than regular relationship managers in terms of their knowledge; they are expected to be well informed on macro and microeconomic changes and the implications for their clients’ assets. A private banker is also expected to have very sound knowledge of investment products and how they are applied. Another challenge worth mentioning is that of technology, which is becoming more relevant by the day, particularly at a time when robo-advisors and their algorithms are replacing humans. To provide proper guidance to clients, the process around client risk profiling, as well as portfolio rebalancing in line with the approved investment or ‘house themes’, can be best driven where the appropriate technology tools and platforms exist. The distinction between ‘old money’ and ‘new money’ also introduces a subtle challenge for wealth managers, not just in Africa but everywhere. Private banks must therefore seek new and creative ways to reach out to Millennials, who are typically tech-savvy and the recipients of ‘new money’. 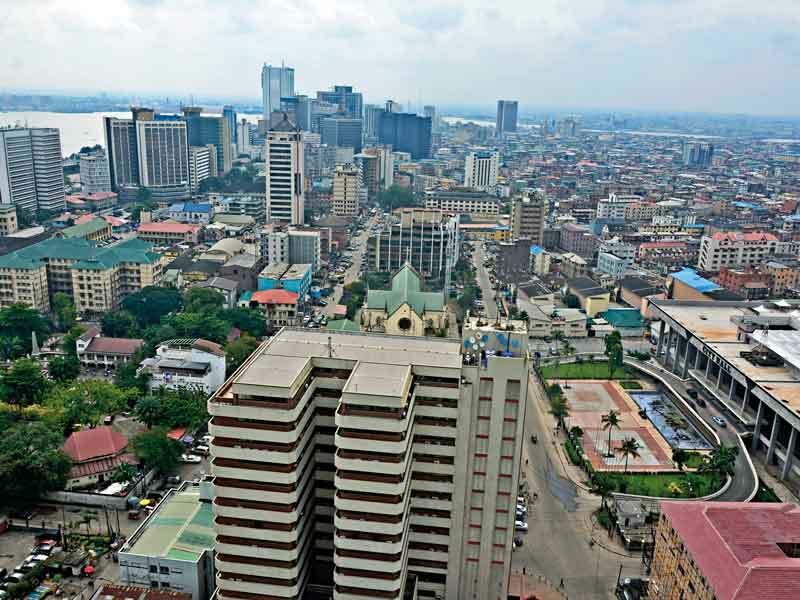 Private banks in Africa – and indeed Nigeria, with its distinct population size – are here to stay. They have formed, and will continue to form, an invaluable part of our banking history and future banking in the continent. Banking opportunities in Africa will continue to blossom. Capgemini, in its World Wealth Report 2016, recorded that Africa has 150,000 HNW individuals, accounting for $1.4trn in qualifying assets. This is in spite of a drop in commodity prices and the subsequent impact on resource-dependent economies. The key task facing wealth managers lies in sustaining growth and being more deliberate in their execution. Competition for business isn’t just with the banks, but also with other local and foreign providers of wealth management products, including ‘briefcase’ advisors that fly in and out of the continent daily. Banks that will prevail are those that are both anticipatory and creative, given the thrust of inflation, dwindling resource prices, regulatory changes and so much more that these institutions have to live with on a daily basis. Leading the private banking arm of the largest Nigerian bank by deposits, FirstBank Private Banking, has been both an instructive and enriching experience. This has involved exploring the wonderful synergies existing within the retail distribution of over 750 business locations locally and seven offshore subsidiaries in the FirstBank Group, including the unique heritage inherent in FBNBank UK Private Banking. Indeed, with eyes on the horizon, our strength is focused on continuing to build customised wealth solutions for our clients, and leveraging the opportunities presented by the improving distribution of wealth in Africa.